The Green and Violet Fohat Fire is related to the higher heart or thymus chakra and Golden Dolphin Energy . This chakra is situated approximately 3 to 4 inches above the center point between the breasts. This gland is an important component of the immune system. The Green and Violet Fire instills acceptance, compassion, and inner peace and is the bridge between the voice of reason and the heart’s emotions. The fire color gives you the ability to vocally express the emotions (positive or negative) generated in the spiritual heart. It bridges the dream world with the physical allowing accurate prophetic dreams. The Dolphin Family of Light are called the "Keepers of the Star Codes for awakening latent Human DNA" and are the Masters of DNA recalibration. They are able to shift your old energies very quickly with their Star codes that are contained within the Green and Violet Transmutation Flame. This Fire energy helps to remove negative core beliefs that sabotage your ability to merge with your higher self or christ self. This Dolphin Energy emits an vibrational seed pattern of unconditional love and acts as a mini-energy vortex propelling a person to release physical, mental, emotional, and past life blockages very quickly. 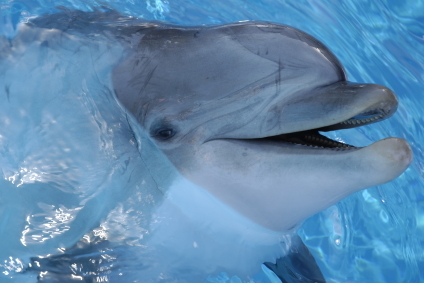 Dolphin Energy can provide you with powerful assistance for manifestation work. They can help us let go of struggle and develop trust. They can help us cultivate a playful energy much like them. When we are playful and learn to take things easy, struggle ends. Manifestation happens easily and in accordance with our highest good. You should use this color to address your inability to express emotions, lack of compassion, lack of self-acceptance, fear of spirituality or higher spiritual realities, feeling betrayed or bitter, inability to accept certain situations and/or people, or self-centeredness. The color has healing properties that affects the mind and the body. It is believed to help neutralize over acidity, increase growth and muscular strength, and alleviate gout, stomach problems, viral infections, rheumatism. Green and Violet also is believed to be an anti-inflammatory that also helps to enhance communication skills, and calm the mind and body.